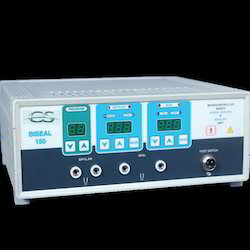 We are the leading manufacturers and suppliers of a wide range of Vessel Sealing Systems, which is a unique hospital equipments. 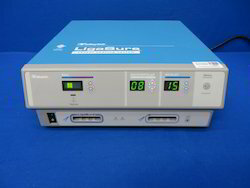 These are widely used for a widespread assortment of purposes for various medical disciplines. Our sealing system provides a permanent, reliable and safe sealing of all kinds of large bore vessels. This revolutionary technology replaces almost all other tools because it doesn't just ligate vessels, but it actually fuses vessel walls to create a permanent seal. Owing to our expertise in this industry, we are engaged in providing a qualitative Vessel Sealing Generator. Our offered generator is designed using high quality material cutting edge technology keeping in mind the set norms of industry. Along with that, the entire range of product replaces almost all other hemostatic tools because it doesn’t just ligate vessel. 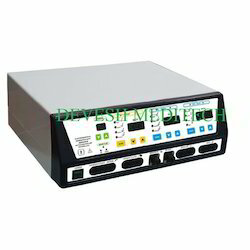 Customers can avail this generator from us at nominal rates in a given time frame. We are instrumental in providing a superior quality Vessel Sealing System. 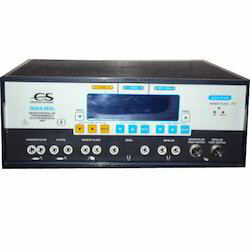 The offered sealing systems provide special benefits not achieved by other electrosurgical instruments. These sealing systems are obtainable in different specifications to meet variegated requirements of our clientele. Offered sealing systems are inspected on several predefined quality parameters for ensuring their flawlessness. We have our own position in the global markets as a leading manufacturer, exporter and supplier of extended assortment of Vessel Sealing System. The offered medical products are fabricated with utmost quality input material that is procured from the most trusted sources after the complete satisfaction of our procurement agents. we are the leading supplier of bi clamps. Vessel Sealing Clamp With Cable Cord For surgical applications. Vessel Sealing Clamp is made with special surgical steel & COATING for maximum surgeries. Blue imported Coating of Vessel Sealing Clamp is specially made for the surgeries. This BI-CLAMP / vessel sealing clamp is designed to provide the correct electrical waveforms to deliver to the site of surgery in order to coagulate blood vessels and to cut tissues smoothly. Surgeons may use the BI-CLAMP / vessel sealing clamp instead of, or in conjunction with, a conventional scalpel. 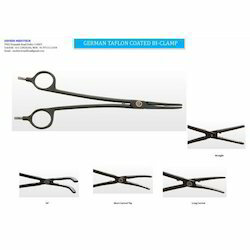 In tune with the international medical standards, we are manufacturing, exporting and supplying an optimum quality German Coated BI Sealing Clamp. This sealing clamp is precisely designed at our premises by utilizing quality tested material & latest technology. The offered sealing clamp is checked on several defined parameters for assuring its flawlessness. We offer this sealing clamp in numerous models & other related options to choose from. 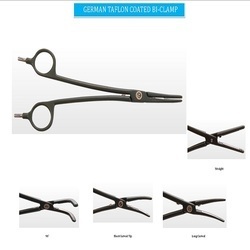 Our German Coated BI Sealing Clamp product highly durable and operational efficient. Highly appreciated for their accurate design, precision construction, apt weight, corrosion resistance and hygienic finish, these are offered with comfortable grip and sharp edges. Furthermore, we are providing our range at extremely cost competitive prices. We are dedicatedly involved in catering our clients by fabricating the premium quality assortment of Tripolar Vessel Sealing Instruments. 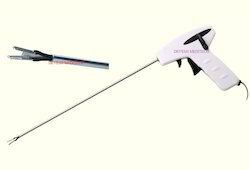 These finest quality Instruments are extensively used in various medical procedures such as LAVH, Myomectomy, Lap Nissen Fundoplication, Appendectomy and Cystectomy etc and act as a program for monitoring emerging diseases. 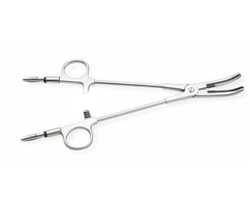 Bipolar Forceps with an active Bipolar cut. Offer 4 functions in one: Dissecting, Grasping, Bipolar coagulation and Bipolar Cut. Looking for Vessel Sealing System ?